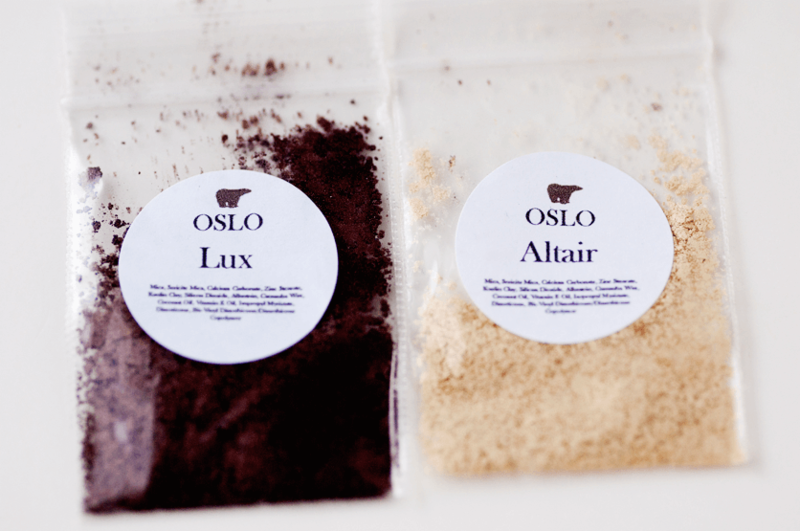 When I got contacted by Oslo Cosmetics to see if I was interested in reviewing her brand new line of mineral cosmetics, I jumped at the chance! 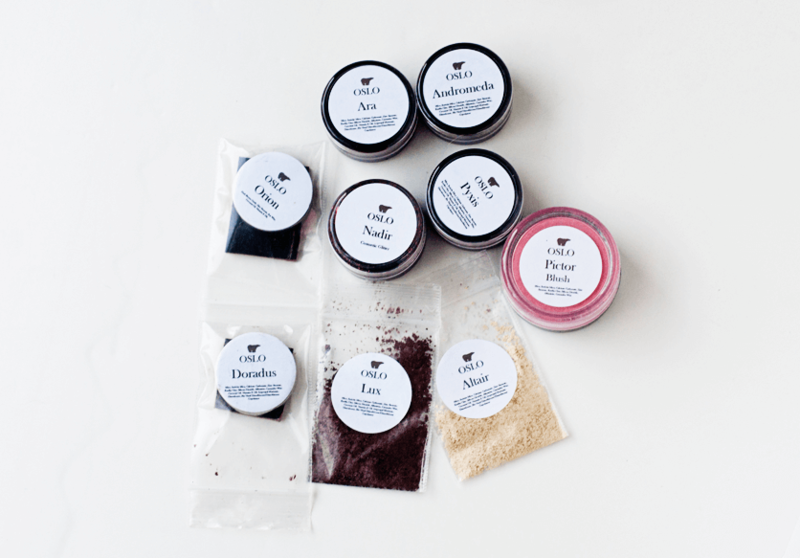 The products are 100% Vegan, cruelty-free, made with good for you ingredients like coconut oil, and are super soft and pigmented. Our eyeshadows are hand blended and mixed with binders so they adhere to to the skin and give off great pigmentation. They also contain good for you ingredients for the skin such as Vitamin E oil and Coconut Oil. The pressed eyeshadows apply the best with a makeup brush. Try not to use your fingers because the oil on your hand will create a surface on your shadow and it will not perform correctly. 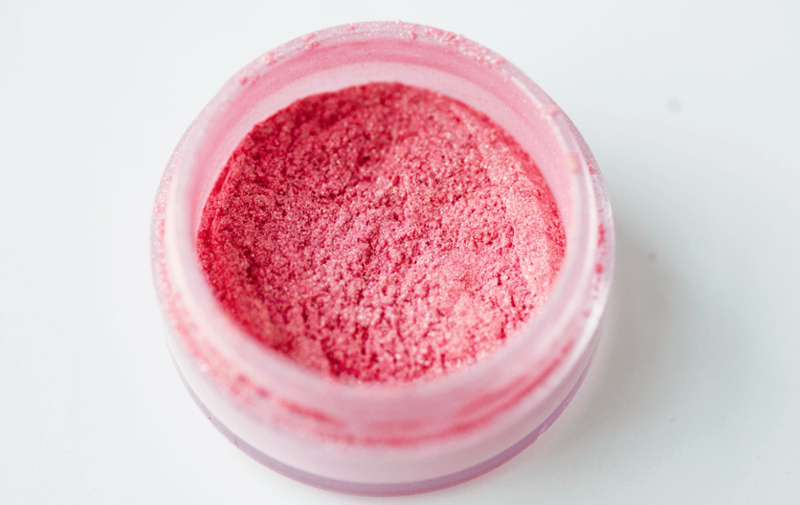 The loose pigment eyeshadow also contains binders and good for you ingredients so they don’t just wipe off your face! 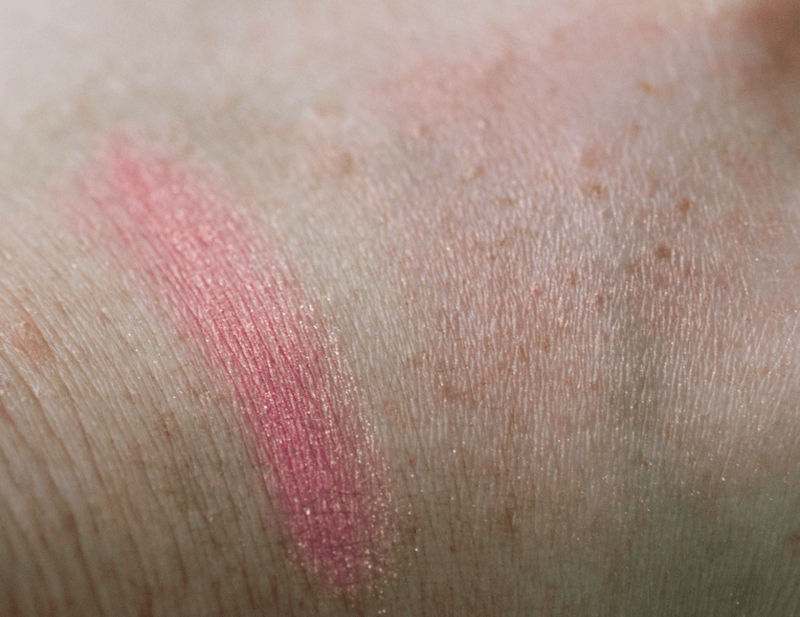 They are pigmented, and smooth, and adhere well. We also offer our eye primer wand, and velvet cream bases for an intense dramatic effect on the eyes. I received a blush, one Velvet Cream Base, one pressed eyeshadow, two eyeshadows in bags, and four eyeshadows in pots. Holy moly am I in LOVE! 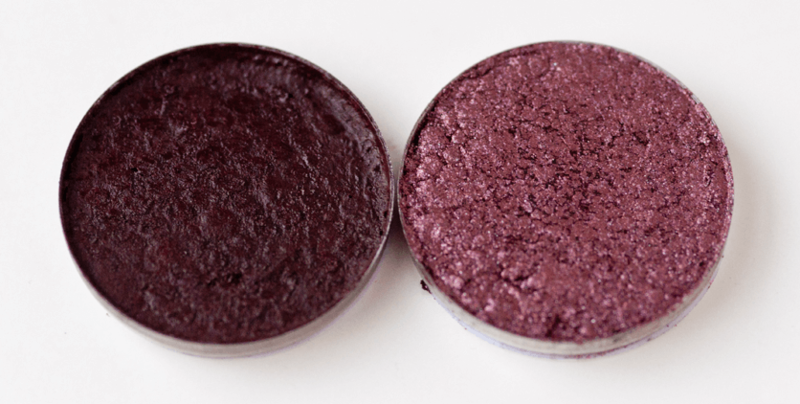 The Velvet Cream Base is insanely pigmented, you barely need any of the product and the loose shadows in general are very soft, blendable, and pigmented. 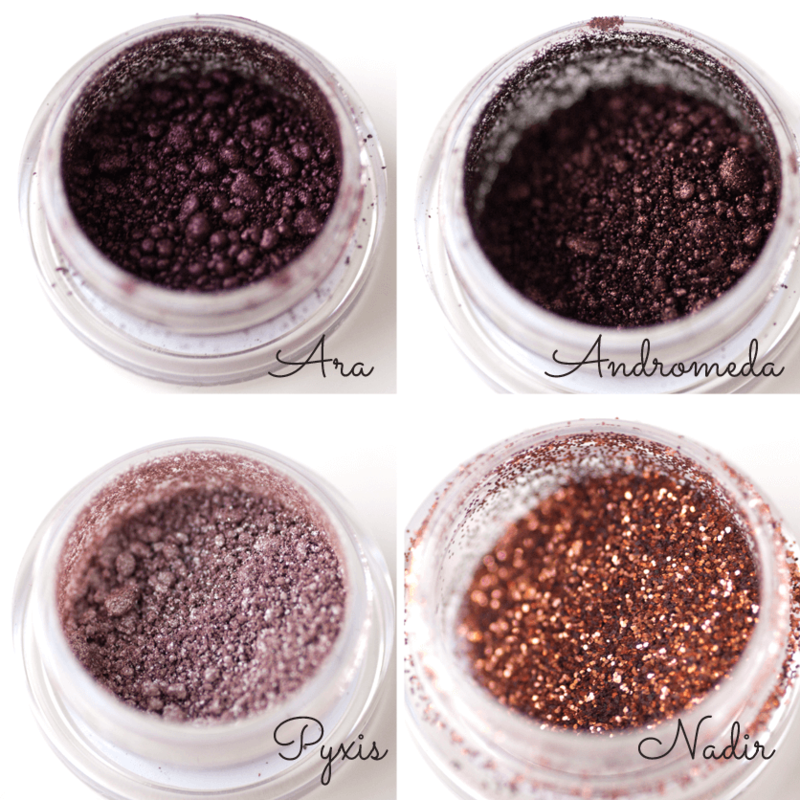 I can’t say that word enough about these products, PIGMENTED! The only product I don’t have a swatch photo of is Nadir which is a gorgeous burnt orange cosmetic glitter. The ONLY downfall is the packaging, however it’s typical of mineral powder products. I am just not fond of the baggie situation. I adore that she offers the majority of her products in a pressed pan form, this allows you to place them in a Z-Palette or MAC eyeshadow palette. I applied a few of the shadows right away and the quality and texture really remind me of Urban Decay… just in loose form. I also noticed that the majority of them seem to be duochrome in nature which is AWESOME! 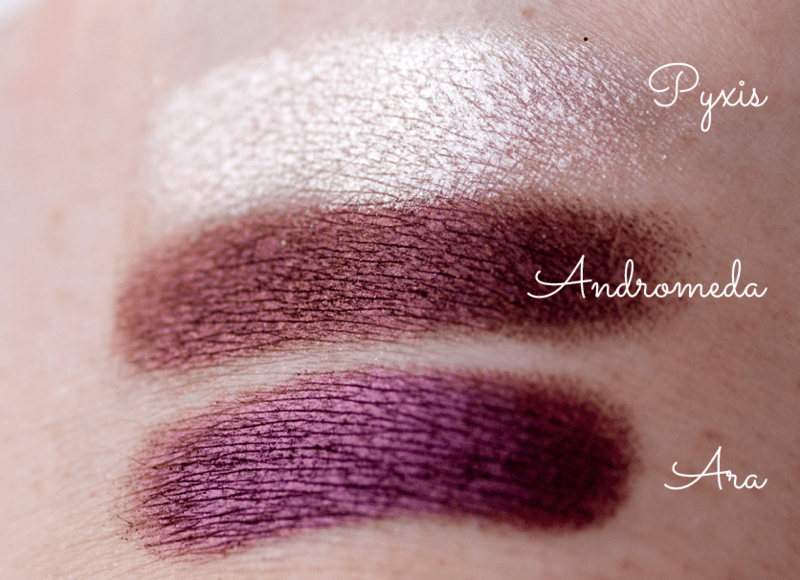 My favorite color that I have so far is Andromeda, it’s Autumn in an eyeshadow! She just put up her Sepulchrum Halloween Collection and it is absolutely gorgeous. There is a current promotion of buy three, get one free and a 15% off coupon code OSLO15, you really can’t go wrong with that kind of deal! Can I have the glitter one please???? ?